Recognize whether your parent team divides tasks ineffectively – and what to do about it. Create a united front – – even as kids and time make this seem impossible. Get past myths about gender – discipline, talking to kids and who’s really good at what. Increase men’s sense of responsibility – and women’s need to be in charge and monitor. Stop undermining each other – by learning how to use and expand each parent’s strengths. Divide and conquer – sibling rivalry and the parenting team. Stop ‘losing it’ with each other – especially when kids play one off the other. Create greater intimacy – what to do to connect when everyday stressors pull us apart. This revolutionary book -featured on TV’s 20/20 and translated into several languages asks and answers the questions parents face every day. Great kids and a stronger relationship? Yes! 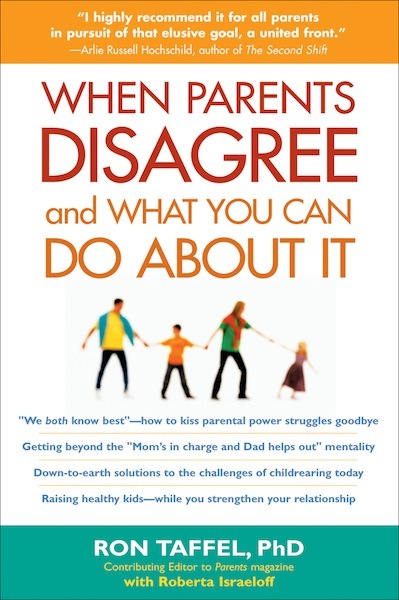 Using proven methods with vivid examples, parents can work together to raise good kids and put the romance back in their marriage.